Rice that is processed with the hull, the bran layers and the germ removed. 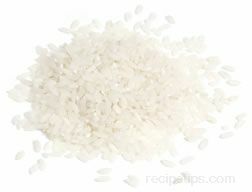 It is the most common form of rice available. It may also be referred to as white rice, regular rice, or milled white rice.